The five-storey building will deliver the facilities to provide a specialist form of radiotherapy for cancer patients, alongside clinical, treatment and research facilities. 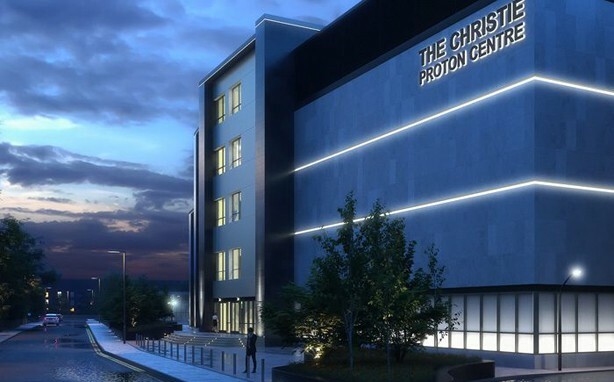 Works began on the site in August 2015, and with superstructure now complete the building is in its fit-out stage both with the traditional M&E packages and the installation of specialist equipment like a particle accelerator, called a cyclotron, which weighs more than 200 tonnes. The first challenge of this project was the demolition of an existing building. This had to be done without impacting on the local residents or the patients as the Christie Hospital remained fully operational throughout the process. Secondly was the construction of the new building. This involved diverting underground streams, complex ground works and detailed superstructure works. WysePower have worked closely with the Interserve site team to develop a temporary services scheme that would serve the project from day one. This included early liaison with the trust to secure temporary supplies from within the estate. During the early stages of the project we engaged with the welfare provider to look at loadings of the welfare facilities and then advanced this to applications to the local DNO for the electricity and Untied Utilities for the water. This early engagement meant that the supplies would be available ahead of programme and eliminate the need for generators and water deliveries. This delivered a cost saving to the project but also reduced noise and vehicle movements. This was important for the local community as the site is in a residential area and also neighbours the Christies Hospital which remains live throughout the construction phase. We also designed a bespoke external temporary lighting scheme that included energy saving LED luminaires, automatically controlled by traditional time clocks and dusk to dawn sensors. Also, due to limited cable routes, we incorporated a wireless switching arrangement that, at the push of one button, switched off all the external floodlights to the tower cranes.